Nestled in the heart of Saadiyat Island, the resort’s location boasts a haven of abundant natural beachfront beauty and wildlife, whilst only a convenient 15-minute drive from the city. Guests will be in good company with regular visitors including Hawksbill Turtles, seahorses, dolphins, dugong and oryx. The Island is also envisaged as a centre for breathtaking cultural and heritage experiences, home to world-class museums including the Louvre Abu Dhabi. “We are very excited to be launching the first phase of Saadiyat Rotana Resort & Villas which is set to become the go-to destination in the Capital for a luxurious resort experience,” says Marc de Beer, General Manager Featuring modern contemporary décor, with Arabian accents throughout, the property boasts a vast, glass-front lobby overlooking Saadiyat’s sweeping beaches, with a sparkling fountain flowing through the resort. The natural, light-filled space houses unique artwork, including seven glass floor panels containing majestic sands from the seven different Emirates. The resort showcases an exquisite, Emirati inspired artwork collection, including core collaboration with Ashwaq Abdulla. The talented Emirati artist has shared her visionary passion; creating local nature inspired pieces based on six curated themes, which feature as a highlight in each of the resort’s rooms, suites and villas. During phase one, four of seven modern dining options that promise fresh ingredients, authentic flavours and distinctive culinary experiences will welcome visitors. Turtle Bay Bar & Grill, an ambient restaurant with stunning rooftop bar and relaxed sounds from live DJs, is set to become the island’s hottest sunset spot, with exceptional views from day to night. Grills from the land and sea complemented by fine grape are presented to guests dining in the pool front restaurant. Culinary enthusiasts can experience the all-day dining restaurant, Sim Sim, which offers an expansive international buffet, inviting guests to explore the world with authentic dishes from Middle Eastern specialties to European and Asian flavors. For an afternoon tea or a light treat, the spacious Sama Lobby Lounge is the perfect place to indulge and relax, with modern bright interiors and two large terraces with expansive views. Phase two will invigorate the city’s dining scene, with the introduction of Si Ristorante Italiano & Bar, and Hamilton’s Gastropub - the first two of their kind on the island. This will be followed by the opening of Nasma Beachfront Bar, presenting a chilled atmosphere overlooking the azure waters of the Arabian Gulf. 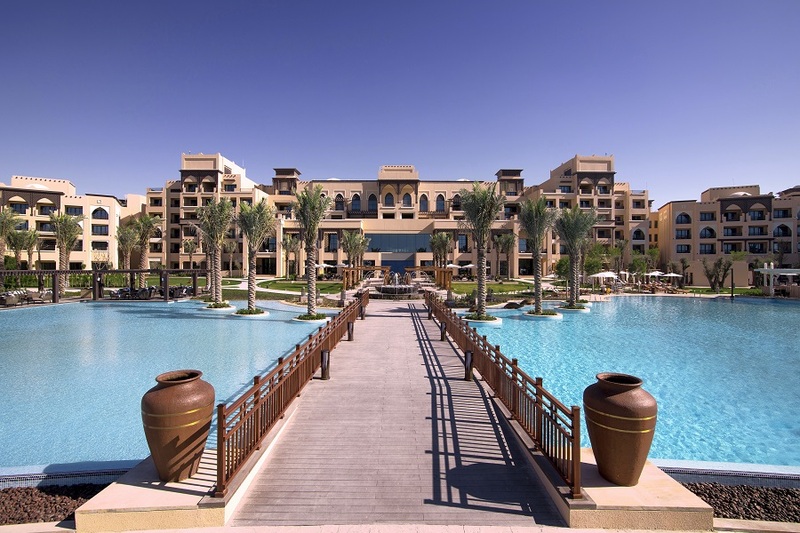 Saadiyat Rotana Resort & Villas features a large outdoor swimming pool, two tennis courts, Bodylines Fitness Club with a private entrance and a mini golf course that will keep guests entertained as they soak up the Saadiyat sunshine. Phase two will see the launch of Zen the spa at Rotana, offering 10 luxuriously appointed treatment rooms, traditional Turkish and Moroccan hammam as well as the ultimate clubhouse for youngsters, Aladdin’s Cave; an active and engaging experience where kids and teens can enjoy various water features, a cinema zone and much more. To suit an array of event and meeting needs, the resort will also introduce three fully equipped banquet and event spaces, an elegant ballroom and The Lawn, a spectacular outdoor event venue designed with memorable weddings and events in mind.